The mid-year Glenigan Construction Outlook forecast for 2018 and 2019 has now been released (July 2018). We take a look at Glenigan’s main predictions and consider their relevance to the new build sector. Glenigan is forecasting market contractions of 6% in 2018 and 4% 2019. However, when the report was previewed by a webinar panel, there were opposing views from an HBF representative. The key variable seems to have been how easily the property sector can recover from time lost due to the very cold winter followed by a very hot summer. They predict that starts will decline this year, with growth in the education, health and civil engineering sectors outside London and the South East. Reasons for the projected decline in starts included slow UK economic growth due to political uncertainties, resulting in a weaker housing market and a slowdown in the office sectors. Other commentators are less pessimistic about the Brexit timetable and cite the EU’s target date for agreeing Brexit terms of the close of Sept 2018. The overall value of residential construction is predicted to reduce over the next few years as a result of political uncertainty. (See Table 1). The reasons offered for this were pessimistic UK economic forecasts, combined with a lack of real household earnings growth and higher levels of inflation. Other challenges for the construction industry were cited as being an aging workforce, over reliance on overseas labour, difficulties in recruitment and the weakening in Sterling. 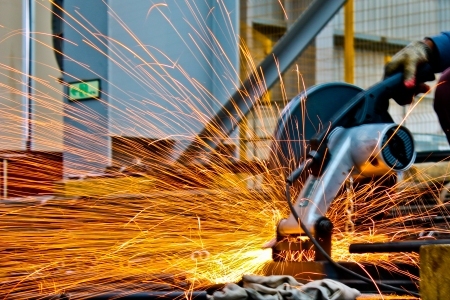 It was suggested that reduced labour availability could increase the motivation to make greater use of off-site manufacturing approaches. 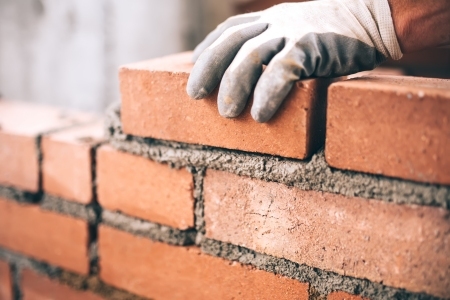 The value of private housing starts is forecast to fall by 13% this year, with house builders expected to prioritise completing current developments over new sites. 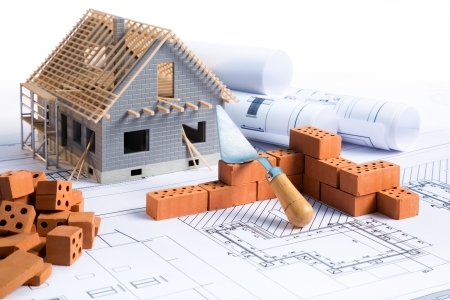 In 2019 a further fall of 8% is anticipated as housebuilders respond to a forecast slowing down of the general housing market. However, as the HBF has pointed out, the house building industry is very good at making up for lost time resulting from poor weather. If the HBF are correct then Glenigan’s forecast may be unnecessarily pessimistic. In contrast to this, over the last 5 years there has been strong growth in the number of residential projects gaining planning approval. Last year alone the value of planning approvals rose by 6%. The report views this as being a healthy pipeline of future developments. Glenigan believe that demand will be the principal constraint on new private housing activity until at least 2019. However, the desire for home ownership remains strong meaning that homebuilders will need to work hard to convert desire into practical demand. Glenigan forecast a weakening in the housing market on the basis that the number of property transactions and house price inflation has slowed since the start of 2017. They suggest that inflation squeezed wages and slow economic growth will continue this effect, despite the positive effects of Help to Buy. Whilst there was a slight reduction of growth in the number of new build transactions last year there is still positive year on year growth in 60% of UK regions. 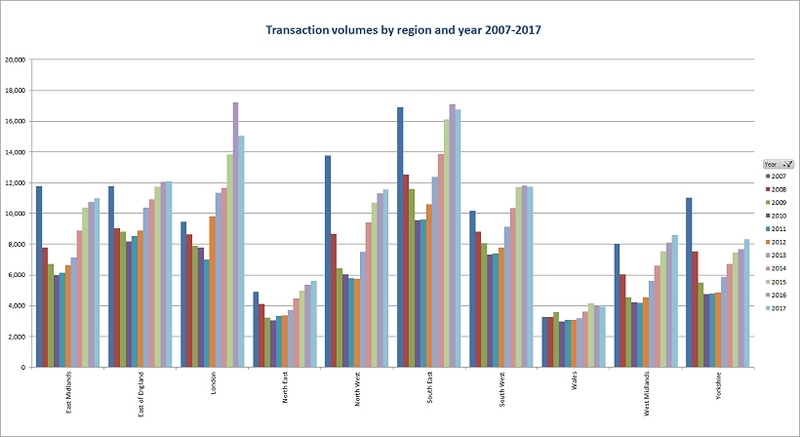 Moreover, all regions have seen substantial increases in the number of new build transactions since 2010. In terms of demand for new build homes, this is currently strong with first time buyers leading the way. The report goes on to comment that the Build to Rent market is growing rapidly, especially in areas such as London, Manchester and Birmingham, with strong growth projected. Other sources predict movement by landlords away from the rental market due to changes in taxation and regulation, despite high levels of demand. It will be interesting to see how this evolves over over-time. It is probable that larger-scale rental developments will benefit from economies of scale that will allow them to more easily absorb legislative overheads. The report predicts a slowdown in affordable housing projects starting on site. During the first five months of 2018 project starts were down by 14% compared with the same period in 2017. They cite post-Grenfell reviews of current refurbishments and developments as being the primary driver of this. As at June 2018 five reports had been published following the Grenfell fire. Whilst safety work to existing estate will of course be an immediate priority, this is likely to affect only a small proportion of existing housing stocks. Equally, many property developers separate their businesses into operational and development divisions, this could limit the impact of remedial works on sites currently being developed. Additionally the Glenigan report reveals that detailed planning approvals for Social Housing slipped by 12% during the first five months of 2018. This reverses growth levels seen last year. This reduced pipeline is anticipated by Glenigan to result in a reduction in affordable housing project starts through to 2019. However, the pipeline is greater than just current applications and as a result of recent changes to planning rules, resubmitted past applications could well boost the pipeline. The report takes the view that student accommodation will continue to be a growth niche area during 2018-19. They cite a strong planning application pipeline and a 24% level of growth in project starts as being reasons for optimism. Whilst some reports suggest discontent among landlords it is unlikely that very substantial numbers will abandon the sector and “sell up”. Landlords expressed their opposition to issues such as additional homes taxation, minimum space per occupant rules and proposals for 3 year minimum contract durations. A move away from HMOs favoured by student landlords may increase availability of other types of rented property. Glenigan’s report concluded that overall construction activity will weaken up until at least 2019, with substantial workload differences between geographical regions and sectors. They anticipate that build to rent, student accommodation will be growth sectors and that The North and the Midlands will be high performance regions. They predict that Brexit will exacerbate recruitment issues and that this will impact upon timely project delivery. To offset this effect they suggest greater investment in modular construction and offsite manufacturing. It should be noted that Glenigan’s view is just one of many and that the number of variables influencing the outcomes being discussed are numerous.